what are the first steps your should take if you want to start publishing content. Hello guys, welcome in the first episode of Business Sidekick in 2017! I know that you’re excited to listen to another awesome interview with another expert! 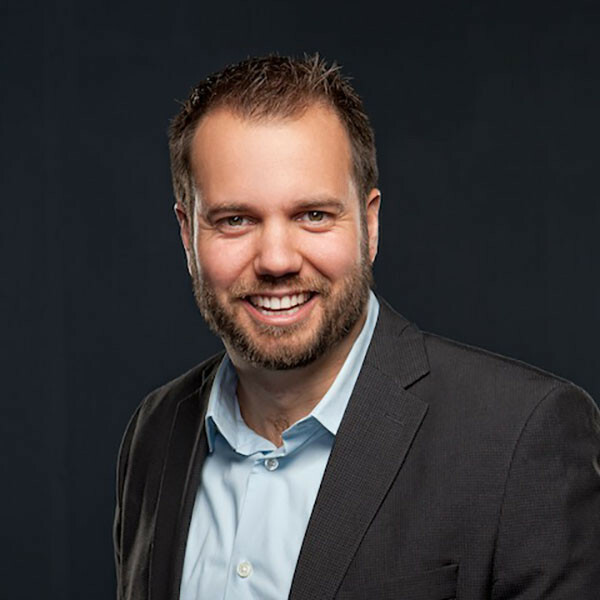 So, my today’s guest is John Hall, CEO of Influence and Co, who shares a ton of knowledge about content marketing and eCommerce. Should you start a blog? How to come out with posting ideas? What’s most important in content marketing and is it sales? Listen to my discussion with John and find out! Alright, I’m speaking with John Halls, CEO. and co-founder of Influence and Co, a company that helps companies grow their audience and do business through content marketing. Happy to hear you in Business Sidekick, John! Thanks for having me, appreciate the honor. Can you tell me where this interest in content marketing came from? What happened is we just looked at it and Graham was initially the person that ended up doing a little bit of content marketing, and he realized, like wow, this is, this is a huge you know value to people to gain trust. So what we looked at is actually, sat down and asked what was the best way to build trust with an audience, and to engage them in a way that you ultimately, you know, move from their short term to long term memory as this like key expert or you know, you ultimately have this brand at the end of the day they trust and are drawn to. And that’s how we kind of ended up being there, but it’s funny we were very specialized at first doing that and we evolved into the company we are now just by following value and not just being excited about content marketing. We’re more excited about the value that people in leadership positions could get from certain effective content marketing techniques. It’s very interesting that you’re talking about content marketing in terms of trust because most people on the Internet are speaking about content marketing in terms of sales. So can you please explain how does content marketing work like? Because many people think like it’s about sales, so people see your blog and, and they found your blog through the Google organic search and that’s it, they buy it, they buy your product, it’s not how it works, right? Yeah, in content marketing you shouldn’t, the big problem with it is exactly what you just said, people are sales, sales, sales, sales. It being a savior for, than selling and having a successful company. Most of our clients, they don’t look at content marketing as their savior for sales. If you do one, you know in an investment and so, there is a variety of things where like, I tell people is, don’t rely on content marketing being your sales, especially initially. Now at this point we’ve done, you know even for our company, we’ve done content marketing for three or four years. Now it supplies a ton of sales to us, but initially you have to set it up right to get the right type of clients. And also if you are very focused on selling people, it defeats the purpose. Cos what content marketing, at least in our view of it, is that it’s the best way to stay on top of people’s minds at the right time. So when they’re making a buying decision or a brand advocacy decision or referral or whatever, that, that moment where it can cause a benefit for you, it’s their company, it’s your company that they think of. And that’s the idea is that you’re being, you know nurtured with content, so that you do come to their mind at the right time. And so with that, if you come at it from a sales standpoint and you’re like oh well, I just need to be a hundred percent focused on sales, then, then you lose that. And you lose the trust that they naturally come to you initially, and they might not, because a lot of times, the first person that comes to mind isn’t the person who just keeps selling you, and it’s focused on selling you. It’s, it’s the first person that helps you, that you like. When you think about people that come to mind in a positive way, it typically is some sort of a, wow I really like that person or, there’s some sort of connection there, and that’s what you have to focus on with content marketing. Now I am not saying you don’t have calls to action, you, you should have amazing calls to action. You know when you are developing content and, and the whole goal is to draw people to you. However you have to come at it from a standpoint is that, what’s the most valuable to this audience, how do I naturally get in front of them in the right way, that looks natural, that is either educational or it’s in their buyer’s journey, that you know they’re coming up on a piece of content oh wow, I’m being sold to, I’m being sold to and if they do, you lose that opportunity for trust, and that natural kind of ability to get on their mind at the right time and the right moment. But is content marketing something that still works? The internet is saturated with good content and most companies run, or try to run blogs, or build their website, how to stand out from the crowd, that’s the question now? Sure yeah, I mean a lot of times it doesn’t, I mean I’ll just be honest with you, that, the problem is let’s say, out of ten things you need to do right, to get content ROI you know in content marketing, there’s a lot of people that do before those things, three of those things, like I’ll give you an example. All I remember I was [...] and I spent so much time on their Insights blog and they spent a ton of time developing, it was actually, good content took so long, to get the content developed. And it was like, data they were using a year before for content and, and even though it was like the data was late, honestly the content was pretty good I was actually really impressed. However, they, they did let’s say, four out of ten things right, content was good, you know it had some visualized effects to it. However they had no form of distribution strategy and they thought, almost thought like a field of dreams mentality, if you build it, the blog, they will come and that’s just not true. And so people who say that, oh well just create high-quality content [...]. You just can’t do that now, ten years ago, twenty years ago sure. But nowadays, you’re right, there is so much content. And so you have to do things, you know out of those ten things whatever the kind of things that you need to do together to get that ROI you need to get them all, and if you can’t get them all, you need to either bring in outside firm to do it, or you need to hire talent to do it, because you’re not gonna get the ROI. And so right now, you’re right there’s a lot of content, but there’s still a ton of value out there. Because you can still, no matter how crowded, I don’t care if there’s a billion or if there’s twenty hundred billion pieces of content, doesn’t matter how big you get out there digitally. All that matters is that are you getting the right eyes to view the content and it doesn’t matter if there’s a ton of content out there. That doesn’t affect if you can reach and distribute correctly. So if there’s a thousand people who are important, so let’s say for us there’s probably I don’t know, ten thousand, twenty thousand CMOs, CEOs, entrepreneurs that we really like, that are important to us to reach. Now, if we’re focused on content, on getting the right content in front of those ten, twenty thousand people, we become you know, very good at it. Content marketing is extremely, extremely valuable, but that’s like I would say the natural like, the best goal for content marketing is you’re actually looking at the target audience and hyper targeting, but also content marketing, just in general does have some perception value. And it has a value that if people, you know, see your content and, and let’s say you write in different publications and they see you got the trade publication, the original publications like Fast Company or something like that. It would bring credibility to your brand and throughout that buyer’s journey, when they see different pieces of content, that you have out there, it can naturally create a perception of credibility. So there’s different values of content marketing. It depends on your goals but the short answer is, absolutely there’s still a ton of value in content marketing, and there still will always be a value, it’s not gonna go away. It may change slightly but there’s never going to be, there’s never not gonna be a need to educate an audience that you’re, that you’re targeting, that needs to learn about an area, or the area you’re in. That’s never gonna stop. What’s gonna, what’s gonna change is how you distribute and make sure you’re getting in front of them anyway. The funny thing is that, although we’re talking about writing, from what you’re saying, content marketing is like promotional strategy more than just writing, and can you give a couple of tips, because I believe that everybody knows what to write, maybe, but not all know who they want to write to. Are there any ways you can indicate with your perfect writing persona? Yeah and I get where you’re coming from and I think in a way, I also kind of disagree is that everybody doesn’t know what they, what they should write. I guess what the difference is between what you think you need to write and what you should write, and for me you should write, is what is most valuable to the audience that you’re trying to engage with. You gotta think about them first, and so for me, you might think that you know, and the reality is that you don’t know until you actually get the right content, see what engages them. And so I’ll give an example with my book, it’s called, like it’s called Top of Mind, it’s being published at McGraw on the eighth of April. Yeah I’ve wanted to write a book for years and there’s been all these different topics that I thought the audience would love you know, and you know that I thought was cool. But over time I realized that some of those topics didn’t resonate with the audience that I was trying to reach and so how we arrived at Top of Mind, is that we wrote pieces of content and realized, wow like there is a, people are really resonating with this type of content. So we need to create more of it, we created more of it, did really well. So then it was like you know what, let’s do a book on this, because this is what, you know, we’ve tested it and it does really well. And that’s pretty much what I should write about, because, we, we did some of it, we tested it well, we did more of it, it did well and so that’s where for me, it’s, there’s factor of getting, you know, content out there and testing, and seeing what works ad expand it and so what I’ll tell you is, the, when it comes to writing, or when it comes to writing, you’ve got to look at like what barriers are going to get in the way for us to actually you know getting content created and distribute it. And when it comes down to it, all, when it comes down to it, it’s simply that there’s always gonna be, there’s always gonna be a challenge that comes up, and you have to identify those and say, okay here are the barriers. So for me for example, I can’t stay consistent, because I’m traveling, I’m speaking all over the place, so to do that I have to have a team focused on, helping me develop this, getting it distributed. So that it is consistent and so for me, it was hiring and outsourcing. Now for some people that are listening, they might not have those resources at all. They might say, let’s do this internally, well then you have to look and say, what can we do internally and how we can do that consistently? And be honest with yourself, and that’s the problem, is that people get super excited, do a ton of work and all of a sudden, it just falls off, it just falls off the, the priority, and you have to re-start. So there’s all these, those barriers that can happen and it’s important for you to look and say, let’s be honest, what can we do internally, what can we deliver, what can we actually produce and, and be effective with and then we need help or we need to realise that that’s what we can do, and do the best job we can with that, then so just don’t get overly excited where you try and take over the world, we need to do this, we need to do this and then all of a sudden, you know you just become this ineffective content marketer, that is where a lot of people fall off. There’s a ton of people that just say, okay well this doesn’t work for me because they didn’t, you know do it effectively, they didn’t use the right resources, they didn’t maintain consistency and then it puts a bad name on content marketing. How are you supposed to choose the right toppic them? The right topic for what? Oh, well I mean for us, like I mean our process is a little unique where, when we take on a client, I mean we have a, a blueprint that we kind of create together, like okay, what do you think is the content that will resonate most and then what we do is, we look at data and information from publications and see, okay what articles do really well, publications that match with some of these topics and you can kind of identify, okay this content does really well. So for example, AI and the healthcare industry is really hot in certain publications or, and doing really well and audiences are really wanting more of that type of content. And then we look at, okay what content’s coming from you, that is you know, performing that, that you really want to get out there, that you have a passion for. Because you wanna like, you wanna marry the passion, the education, the strengths of the, the people that you’re extracting knowledge from, with what is most valuable for the, the audience, cos the content shows like it becomes a little more, I guess you could say authentic, becomes more I guess you can say valuable from the start. And, and when that happens you can, you can typically increase the chances that somebody’s gonna be more engaging. So we try and marry those two together, and then also you test. And so we know things when I write about things to do with content ROI because that’s a huge [...] in content marketing. The content doesn’t overperform, it doesn’t get like get a million views, however, it will get a couple thousand views, that are very, very valuable to us. So we do more content around that because it’s the right people. They’re gonna be the hundred thousand view article I write, no. But it’s gonna reach the right people, however I just got done doing a series of leadership articles relative to different things that I’ve written about in the past it did really well and that’s to reach a larger audience and to target kind of, the more general, bringing awareness to the audience so. It’s a lot of identifying with what is unique about kind of your background, your experiences, the information data you have with pairing that with what is valuable for your publications. We have proprietary software that does that, however if you don’t, then you, and look and see, what are our articles that are consistently trending on these sites. What, what are often searched in these areas, you can kind of marry those things with, what your passions are, and then creating content that performs, and then what works out well, what doesn’t work out well, don’t do more. So let’s imagine that I have an eCommerce store, online store and I sell products that are under ten dollars. So as you can imagine, it’s almost everything. What would be the first step that you suggest to take to start the content marketing machine? I mean the first step is to get a blueprint, I mean you, so many people don’t document what their actual execution blueprint is and what the strategy is, and what you’re trying to accomplish, primary goal, secondary goals. What you’re measuring after six months, what are you measuring after twelve months. These are the things that I would make sure they are very, very clear at the beginning. And that’s kind of your starting point. Then it’s what is the team and the resources I need in place to execute on this. A lot of times you’ll need to bring someone in to even help with creating the blueprint strategy, but once you get those two things done, it becomes easier and easier to actually execute, because you have, have a plan you’re executing, have the right resources. And so that’s the first start of it. If you are like a one person shop and you just don’t have the ability to bring in resources or to, then you have to look at it and say, alright, well what is my starting point with this blueprint, what do I think I need to do later, what do I, like once I get the value and justify it, what resources do I bring in after that, whether it be internal or outside. And so that’s very, very clear to get from the start. And then I think content triggering, you should always be at any time be talking to someone or engaging with them in any way, that they have an engaging moment, where it’s like wow interesting. Or you’re having a conversation and somebody’s like, oh gosh I’m you explained that or anything you see they’re getting value out of it, where it ultimately helps them get better with what they do and gain that trust, write that down, get down and start developing a topic database of all the topics that people are naturally engaged with when you talk to them, and then you, and then you go from there. I go back to Simon Sinek’s “Start with Why” if you’ve never seen it, it’s a great, great Ted talk. And Simon really dives into, Simon really dives into why you’re doing what you do, and that your communication strategy and the way you communicate and lead should be around that why. So like a lot of eCommerce companies, you’re, you’re creating a product to solve a certain solution and to truly help make somebody be either more productive, or effective, or something that’s enjoyable. So what is your why, what do you really try and do, communicate that why and in the long, in the short term, sometimes very hard to get, you know immediately say, we’re immediately gonna create content. Sales are just gonna just come in. And so for me like, sure you can have content that’s very hooked on the short term goals, the ones who do it the best aren’t the ones that are completely relying on social on, on content marketing, for bringing in short term sales. We, like for example, we truly want to help people build trust with audiences and help them influence the audience they are trying to reach the best way possible, through education. So for us, to do that, we need to generate a ton of content around getting them to, getting them to do, to understand exactly the things that affect our area. So how can they build influence in, how can they use the content we’re creating, to leverage across their company, how can they use it in recruiting, how can they use it in sales. So there’s all these things that we can get content from, to gain their trust, so that they are, they get more value out of what we do, and they understand our industry more. Now in the long term, that’s helped us be, create long-term partnerships, it’s helped us attract top talent, it attracts, helped us, attract people who want to invest in us. There’s all these benefits there, and if we are only, like worried about short term sales, a lot of times we would miss out on some of those major benefits on content marketing. And so that’s why it’s important to get if from, I mean the long term. Here’s what my long term metrics are and what’s really important to me. In the short term, sure, if you wanna have sales you know, be one of the, I, there’s not many countering programs that in a month or two, that you’re going to see this crazy amount of sales go up. You know, in a couple years or so, absolutely. For us, it creates I think, we’ve got twenty thousand or more leads from our con, from our Inbound efforts last year which is a lot for a company like us. So that is significant, and it’s a great, you know sales number for us. However our goal from the start, wasn’t only, how we can drive sales, it was sales was a big component of it but it was also, how we can be truly a leader in this space, that can result in sales, that can result in recruits, that can result in higher sales conversion, that can result in all these different benefits, that you know, content marketing can create. Alright so, the last question, can you please tell me something about promotional strategy, because it’s something that people don’t always remember about. For example, you have your content published and what to do, because many people think that, you know posting something on LinkedIn and twice on Twitter, that’s the promotional strategy. Well no, lot of times when you promote, I mean I have fifty-five thousand Twitter followers and I don’t expect that just tweeting something is going to change the world, my world on promotion, I mean that’s, that’s honestly crazy if you’re relying just on that you know, I have a decent amount of followers. I mean, I look at it as, like if you [...] promotion of the content and distribution of it. I look at, you should have a ton of different distributional and promotional tools, whether it be tapping into the channels that are partners, or you have email campaign, or you are initiating a publication of a lot of that audience. Or you’re doing paid social, or you’re doing paid ads like there should be all these different tactics you’re using to get more of the right eyes. For, let’s say you’re [...] hundred people, to promote that content, I mean you can hyper-target using Facebook or LinkedIn or whatever, to get the right eyes on that piece of content. And as long as it, you know it converts, like once again is that some of these pieces aren’t gonna be super promotional, oh you need to buy this immediately. It’s gonna be talking about the area of you know it’s gonna be thought leadership or you know, educational content and so when you look at how you’re promoting, you have to look at, okay well does this convert. Okay if it does, then great, makes sense to drive a ton of traffic. Or if it doesn’t convert, doesn’t make sense to drive traffic to it just to get people to kind of get familiar with our brand, in this way and you gotta to make those decisions. Alright, thank you very much, that was a ton of knowledge. So thanks a lot for accepting my invitation and thanks for your time. Okay, it was good talking to you, take care. As you heard from John, content marketing can be an awesome way to grow your audience and build trust and loyalty among your customers. I hope that we were able to explain content-related problems. If so - show me some love and share it! Thanks a lot for listening and remember - the next episode will be published in two weeks and you can find it on iTunes, SoundCloud, and Youtube. Have an awesome start of the year, it was your Business Sidekick speaking!